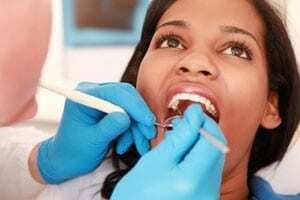 As a leading dental care provider in North Carolina, we offer a range of high quality dental services. We take a holistic approach to oral health and wellness, and our trusted and knowledgeable dentist and staff use the latest technologies and techniques to deliver the services you need in a caring, comfortable environment. PRF (platelet-rich fibrin) is a safe, effective blood concentrate system used for soft tissue and bone tissue regeneration, particularly with dental extractions. PRF application promotes healing and socket preservation. Dr. Ridge implements a holistic approach with dental treatment. TMJD, or temporomandibular joint disorder, is actually an umbrella term used to describe pain in the temporomandibular joint and jaw muscles. The condition causes chronic discomfort for nearly 15% of adult Americans each day. Fortunately, modern dentistry has developed solutions for people who suffer from TMJ. Dr. Ridge will do a thorough examination of your TMJ and discuss treatment options with you. Invisalign is the invisible way to straighten teeth without braces. Invisalign uses a series of clear, removable aligners to gradually straighten teeth without metal or wires. Invisalign uses 3D computer technology to depict the complete treatment plan from the initial position to the final desired position. Each aligner moves teeth incrementally and is worn for about two weeks, then replaced by the next in the series until the final position is achieved. Dr. Ridge has provided very successful orthodontic treatment with Invisalign for many patients. 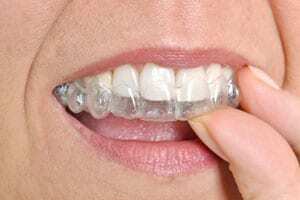 Let us see if Invisalign is right for you. Teeth naturally darken with time. Fortunately, advances in dental technology make it more effective than ever to restore your teeth’s natural luster. Teeth whitening is a painless procedure that can dramatically enhance your appearance by creating a youthful, bright white smile. Dr. Ridge offers the KöR Deep Bleaching system and Philips Zoom take-home whitening. A crown is a tooth-shaped “cap” that covers the entire tooth to restore its size, shape, and function. 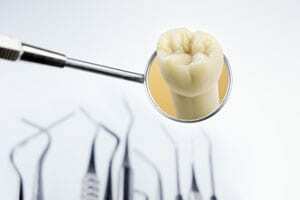 Crowns provide much more than cosmetics – dental crowns are used to repair cracked or broken teeth, to strengthen and protect weakened or decaying teeth, and to provide support for other dental structures, such as bridges or dentures. 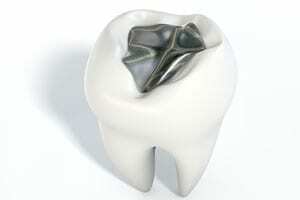 Permanent dental crowns can be made from all metal, ceramic, or porcelain composite materials. For the most natural looking option, Dr. Ridge offers CEREC tooth restorations. The CEREC tooth restoration is a special procedure that utilizes a strong, tooth-colored ceramic resin that mirrors both the composition and appearance of the tooth’s natural enamel. With a CEREC restoration, the ceramic resin covering is chemically bonded to the tooth’s surface, providing superior strength and long-lasting protection. CEREC tooth restoration can be used to replace old, un-attractive metal fillings, and in most cases, can be completed in just one office visit. Talk to Dr. Ridge today to determine if CEREC tooth restorations are right for you. 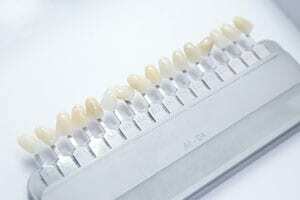 We are able to make crowns and veneers (while you wait! 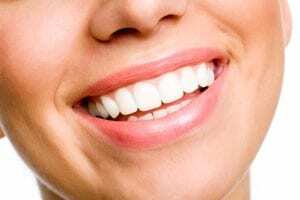 ), eliminating the need for the dreaded temporary crown or veneer and a follow-up visit. Specialized porcelain veneers improve the appearance of your teeth and create a uniform, bright smile. Veneers are thin layers of porcelain that are applied over the front of the teeth. Veneers are one of the best ways to return the original luster to your smile. Dr. Ridge creates veneers using the CEREC system. We can create a whole new smile in a few hours. A dental bridge is an excellent option for replacing lost teeth. A dental bridge literally “bridges” the gap created by one or more missing teeth, using the adjacent teeth as a support. Bridges are either removable or fixed, and can be constructed from a variety of materials. Besides being aesthetically pleasing, dental bridges can also restore your ability to speak and chew properly. Dental bridges are an excellent solution to even out your smile and improve your oral health. Dr. Ridge's office creates most bridges right in the office using the CEREC system. Dentures are removable replacements for missing teeth and are custom made to resemble your natural teeth. Dentures may be a complete set, in the event of total tooth loss, or partial when some natural teeth remain. Ask Dr. Ridge how dentures can help restore your smile and help you regain your confidence. Valplast Thermoplastic Removable Partial Dentures provide an ideal balance between functionality and appearance because they fit around natural teeth without the obvious metalwork that accompanied older appliances. The high quality material used in Valplast Thermoplastic Removable Partial Dentures is more comfortable to wear and bends naturally with the mouth. A tighter, more comfortable fit can provide the freedom to eat and speak without fear or discomfort. Valplast also matches the natural color of existing teeth better than other materials, providing a confident smile that does not expose the signs of dental work. A dental implant is an artificial tooth inserted directly into the jaw. 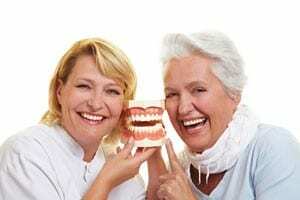 Most people find that implants feel more natural and secure than dentures and other substitutes. If you have otherwise healthy gums and bone, you could be an ideal candidate for dental implants. Dr. Ridge places and restores most of the implants our patients need and want. Dr. Ridge attended a year-long preceptorship in implantology at the University of Texas San Antonio School of Dentistry to gain advanced knowledge in implants. He is a Fellow in the International College of Oral Implantologists. It is unfortunate when someone has to lose a tooth, but sometimes it is unavoidable due to very deep cavities or tooth infections. Our office is able to remove most teeth under local anesthesia. Dr. Ridge received extensive training in oral surgery while completing a General Practice residency in the U.S. Air Force. Cavities are the most common and most preventable dental problem in the country today, occurring when residual sugars in the mouth are converted into acids which attack the enamel on the outside of teeth. As the acid eats its way through this protective layer, it exposes the delicate nerve center of the tooth. In order to correct a cavity, part of the damaged tooth is prepared and the hole is filled with a strong tooth-colored filling material. No silver mercury filling material is ever used in this office. Talk to Dr. Ridge today about the most effective ways to both fix cavities now and prevent them in the future. When you have a cleaning appointment with our dental hygienist, your visit will be focused on achieving oral health and removing areas of plaque and tartar build up. Depending on the condition of your surrounding bone and gum tissue, your cleaning may be as simple as one visit or may need to be completed in several visits. 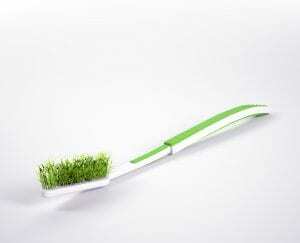 The dental cleaning you will receive will be discussed at your new patient examination. At the appointment, the hygienist will give you oral hygiene instructions to better care for your teeth and gums.